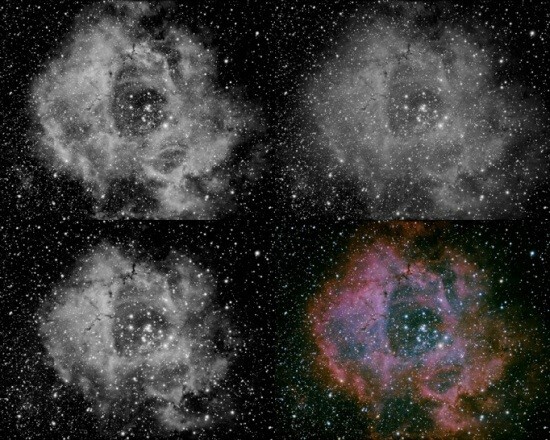 Astrophotography image captures can add up quickly. They also tend to not be very small. 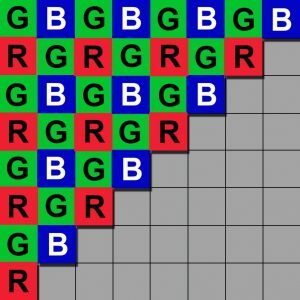 Once you add in darks, bias and flats, you can have quite a mess on your hands. The fist problem is figuring out how to store the files so that it makes sense and you can get the files you need in a hurry. 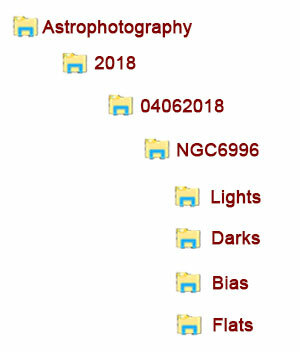 I started off with just a folder where I threw everything in and thought my naming convention would keep my astrophotography image collection organized enough. 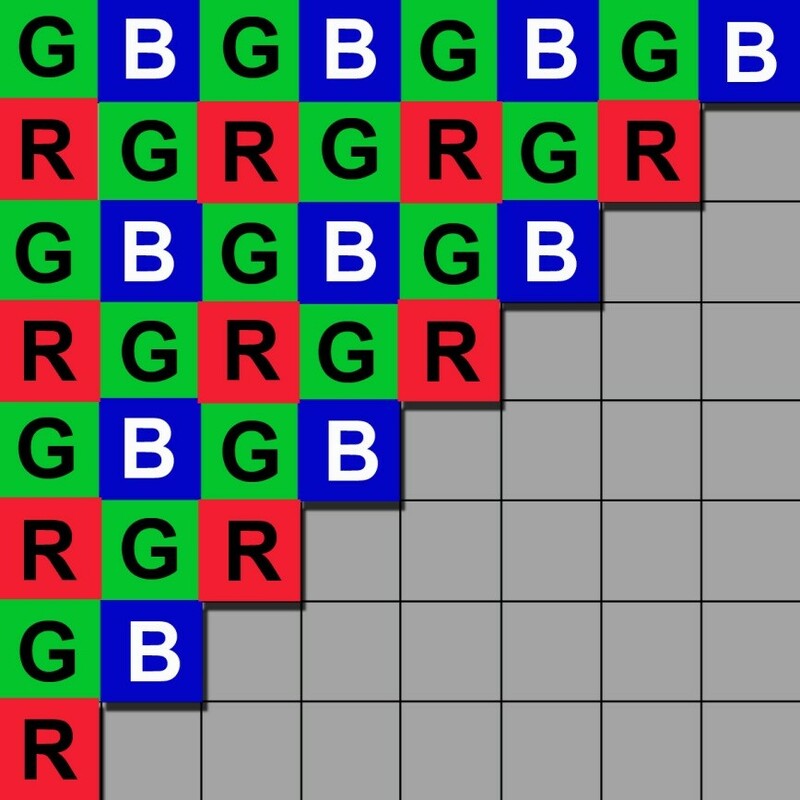 I was very very wrong. What I recommend now is a different method, and I suggest you take a look at this one and then make changes to get a system that works for you. Organization is not just so you can go back and find stuff, which you will want to do, but also to make processing and backups easier. This was the first astrophotography image organization system I used. 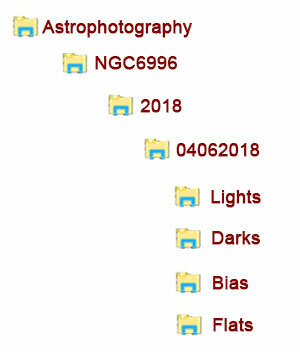 In this case, you start off with a folder called Astrophotography, then make a folder inside of that for each year, then one in that for each session, then one inside that for each target. Lastly, you have folders inside each target folder for each of the image types you are storing. 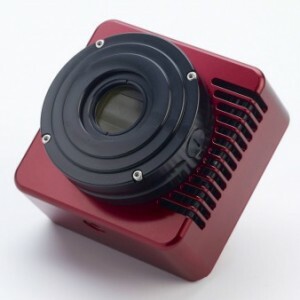 If you are shooting monochrome CCD, then inside the Lights folder you could have folders for Red, Green, Blue and Luminance. 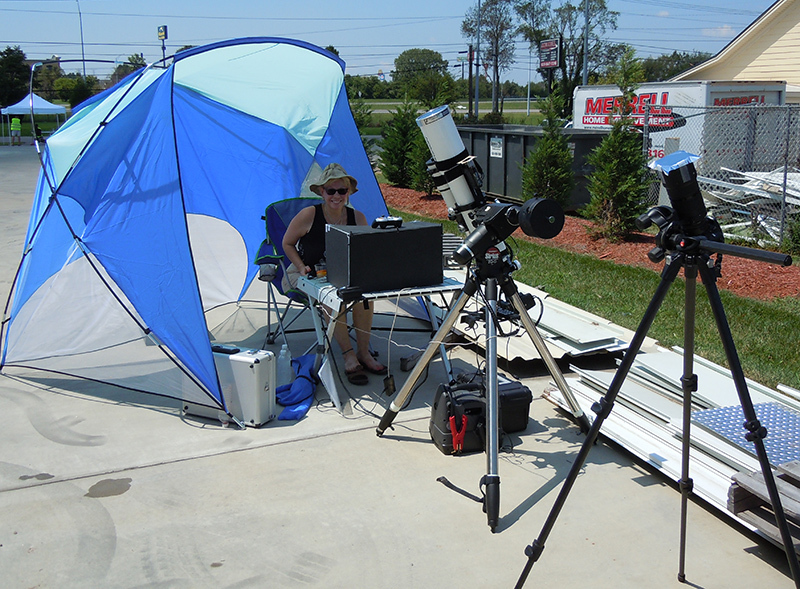 Or you might have folders for Ha, S and O3 if you are shooting narrowband. In this system, each target can be shot over multiple nights, even spanning years. Either way, you may need to adjust things based on the way you need your astrophotography image collection to work for you. You will probably adjust things over time to better suit you as you evolve. You might also need folders for processing or storage depending on what your astrophotography software or astrophotography tools require. For example, Photoshop tends to need little more than a PSD file while other astrophotography post processing software such as PixInsight makes a ton of files as it steps through processing towards your final astrophotography image. This can be a pretty complicated figure which depends heavily on what camera you shoot, and how many frames. Let’s take a look at one session of mine and then extrapolate from there. 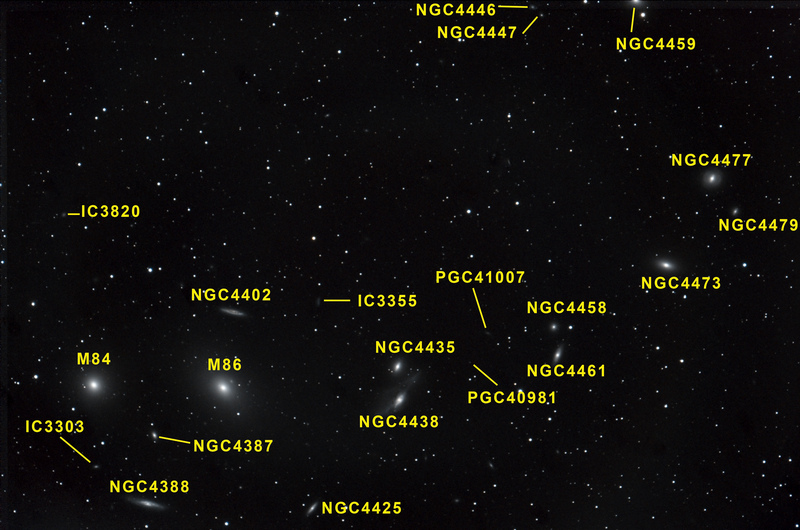 On January 3rd, 2014, I imaged Caldwell 4 (among other targets). I took 25 lights, 25 darks, 2 bias and 2 flats along with 5 focusing shots of this target that evening. Each image from my Nikon D7000 is about 10MB in size. In total, there were 59 camera images coming to a total of 590MB of data I want to keep for that one target. That much imaging took about five hours, so let’s say that is about 120MB/hr. If you are a prolific astrophotographer you might image two nights a month (new moon only) and that works out to about 16 hours a month for 12 months or 192 hours. Multiply that by the 120MB/hr figure we got earlier and you have 23GB of data. Now we need to figure for processing and my experience has been that either with PixInsight or Photoshop I tend to have a lot of image files for processing and output so let’s double our previous figure and say that is 46GB of astrophotography image data. Of course if you are dealing with FITS files from a CCD the capture images may be smaller, but you will probably have more processing files. And lest we forget video, if you plan on doing planetary or some high resolution lunar work, our video files might be pretty large as well. Let’s say our video runs about 125MB per minute of capture and a reasonable capture might be five minutes per capture, of which we have 20. That all comes out to about 12.5GB, doubled for processing makes 25GB added to our 46GB to make 71GB of data per year. Keep in mind that this formula was meant to show you how you can calculate your own data consumption, not really to say you need 71GB of storage per year to put your astrophotography image collection on. Heck, if you get good and you have an astrophotography photos for sale you might want to keep multiple copies in different sizes. 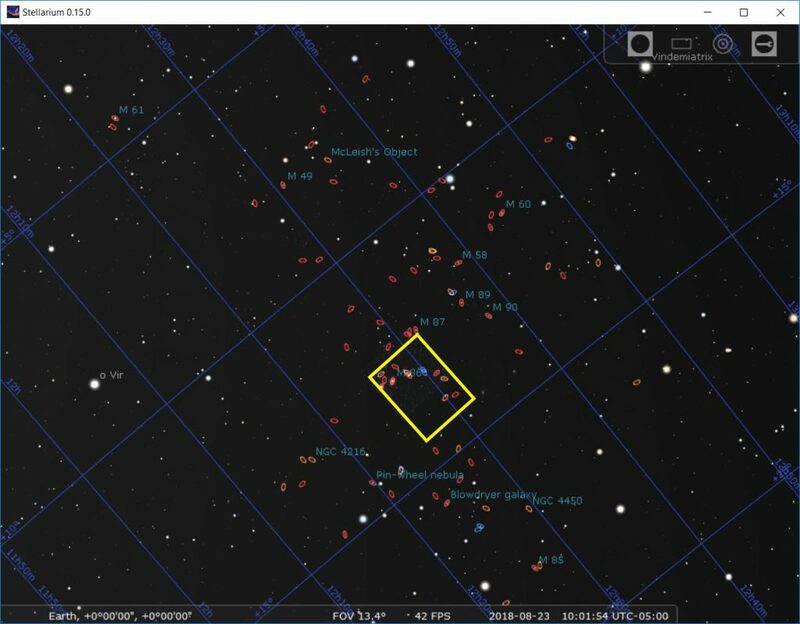 Now we need to decide on whether we want to keep our astrophotography image collection inside our computer, or externally such as on an external USB hard drive. Personally I keep the images I may work on in the near future on my local computer drive and then keep a more “permanent” copy of all my images on a NAS (a big fancy external hard drive that connects through the network). You know what is worse than your imaging session getting rained out? Getting awesome images and then losing them because a hard drive failed or you accidentally deleted the wrong folder. That is why you need a backup. The only real backup solution I can recommend for astrophotography image backup is BackBlaze. Why them? Because for $95 a year, you can upload unlimited images (or any other data you want) and they will keep it all nice and safe. I should reword that because it sounds like you have to remember to upload your images and that is incorrect, all you have to do is install BackBlaze and tell it where your astrophotography image files are, then let it do its thing. In addition, they keep multiple versions of your files which helps protect you from things like cryptoviruses and overwriting files you didn’t mean to. With versioning, you can get the previous version of the file instead of the current one, or the previous to the previous, etc. Click on one of the links for BackBlaze and get a month free trial, what are you waiting for? 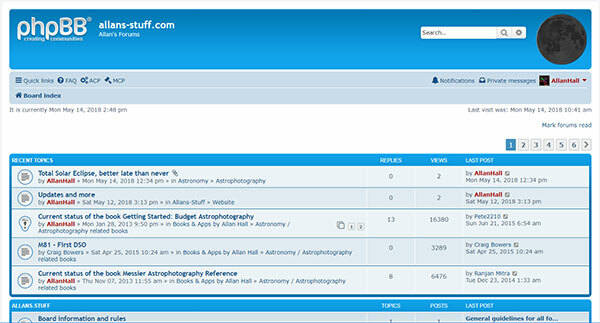 Of course they back up not only your astrophotography image files, but all your other files too! 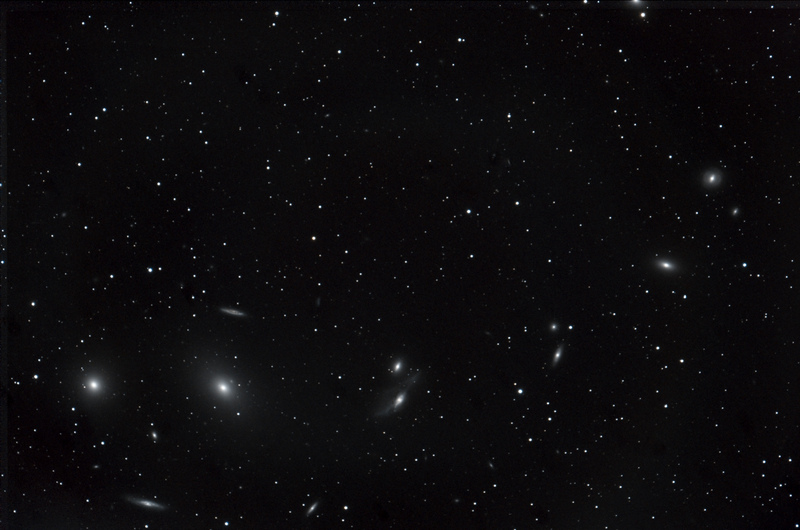 I hope you enjoyed my article on Astrophotography image storage and backup! Today I am proud to release a new book aimed squarely at beginning astrophotographers who want to know what astrophotography objects they can image with their equipment. Are you interested in astrophotography objects in the northern hemisphere? 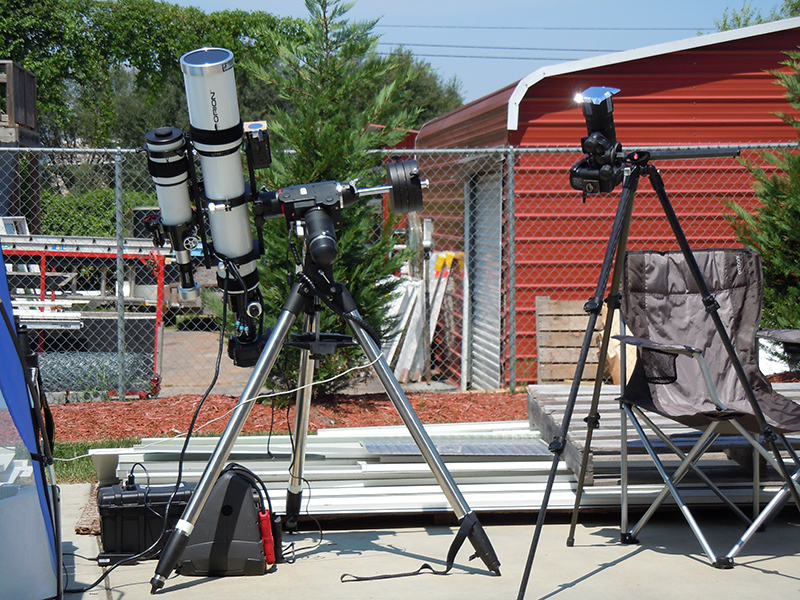 Do you need good information on astrophotography objects that can help you as a starting point? Taking images of astrophotography objects that are millions of miles from Earth is about as complicated as it sounds and when you start out you will find it hard to target the right ones. Size, brightness and type are just a few of the more common considerations, but there are many more that relate to the type of equipment you have to hand and what the best tools for the job will be. Once you have mastered the techniques needed to take stunning photographs of these amazing beginner astrophotography targets you can move on to further reading on the subject, but making sure that you are taking quality images of some of these is the first step. 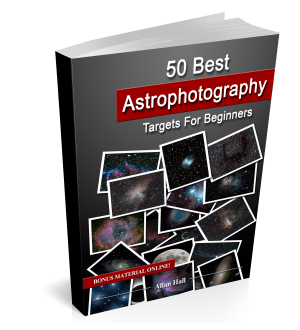 Designed with the novice in mind, 50 Best Astrophotography Targets for Beginners provides good, clear information in an easily understood format, allowing you to take the photographs you’ve always wanted to take. It even includes photographs that realistically shows you, as a beginner, what you can expect to achieve. There are no NASA or Hubble images in this book! Aimed specifically at the beginning astrophotographer using a camera such as a DSLR in the Northern Hemisphere, this is the book you have been looking for. Get a copy today and see how it will improve the way you take amazing shots of the heavens that will impress and delight friends and family alike! The book is available today in both print and Kindle editions. Get out an image those astrophotography objects! 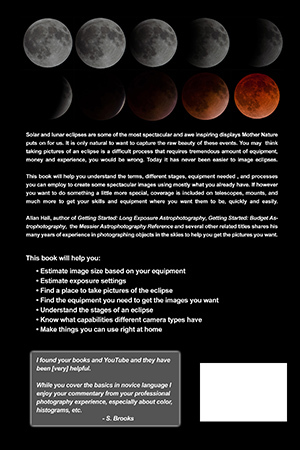 New book on taking pictures of eclipses released! Do you want to learn how to take photographs of an exciting Solar or Lunar Eclipse? Do you have the right equipment for the job? Do you want to know ALL the tips and techniques needed to make this a success? A total Solar Eclipse is an incredible sight to behold. It is one of nature’s most awe-inspiring events and has been the subject of amazement, wonder and fear throughout the ages. But they don’t come around very often. 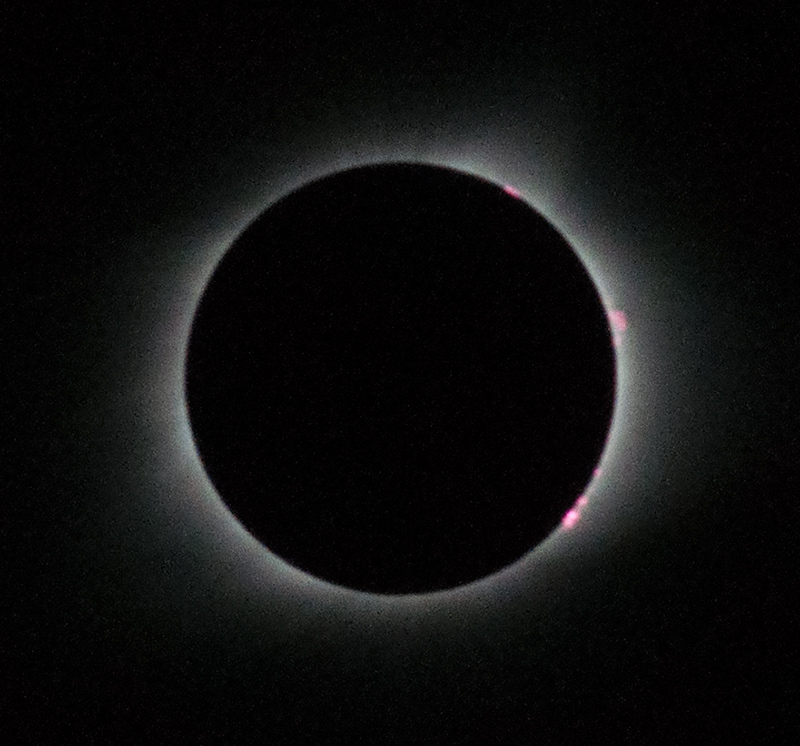 In fact, the last total solar eclipse in North America was 40 years ago. 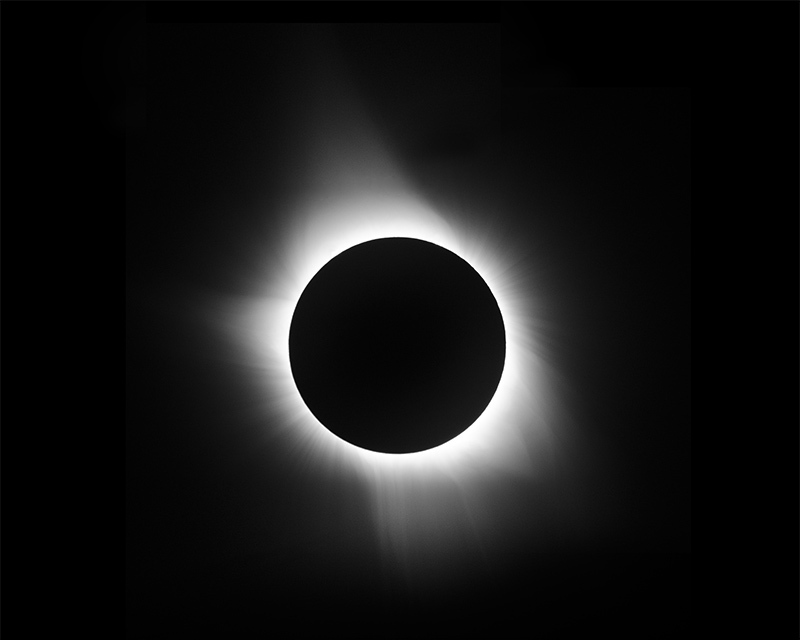 In 2017, however, you will have another chance to witness this rare phenomenon as another total solar eclipse will occur on the 21st August. 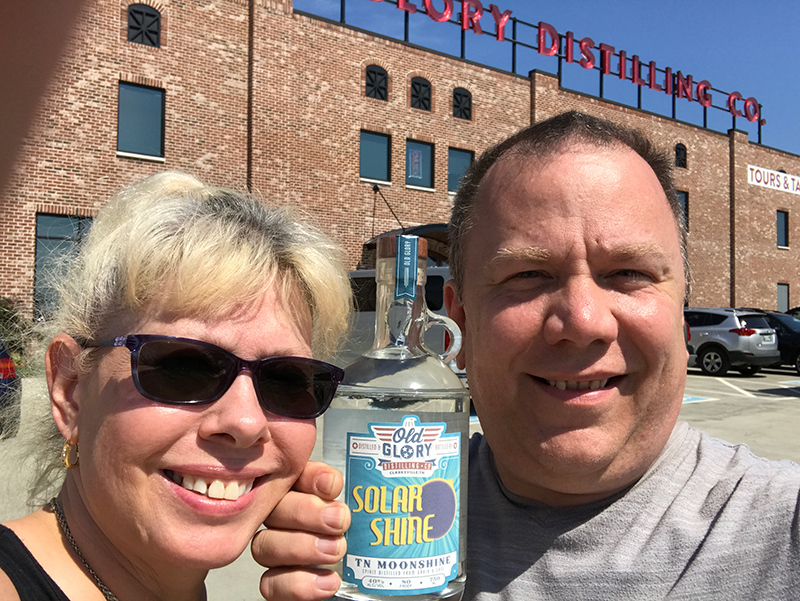 The total solar eclipse 2017 is something to not be missed! Capturing this amazing, once-in-a-generation event is something that you won’t want to miss out on and capturing the best shots of it is crucial when it comes to the bragging rights. Now is the time to act if you want to be prepared for this spectacular sight. 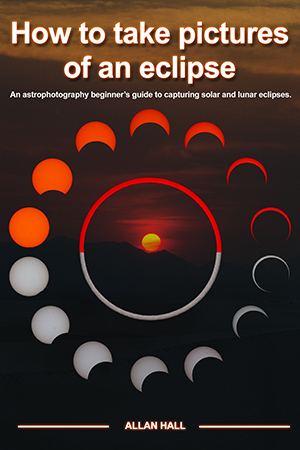 Get your copy of How to Take Pictures of an Eclipse now and make sure that you are ready to get the photographs that will amaze your friends and family and be the envy of all. Get your copy in either print or Kindle edition and be ready for the eclipse today!